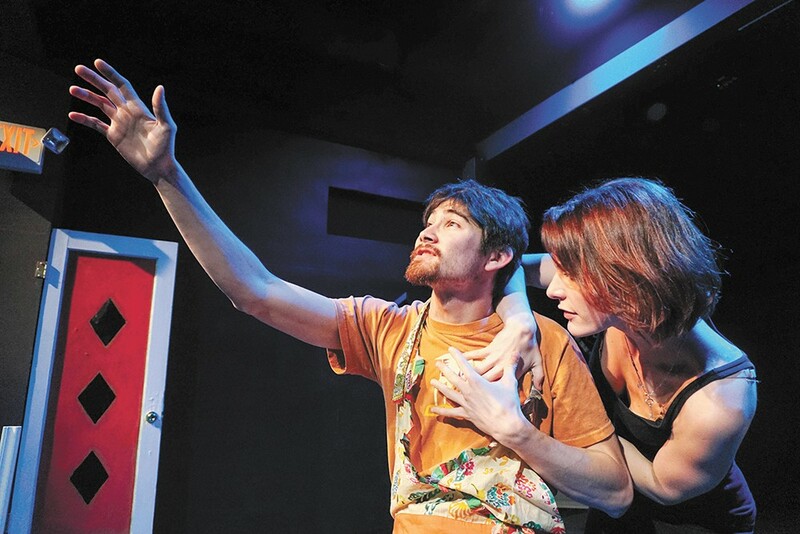 Sean Stoudt (left) and Jordan Noël Lannen star in Stage Left's Creeps. FOOD & DRINK | Obviously, your first priority should be getting in the swing of Inlander Restaurant Week, starting today at 97 restaurants in the Inland Northwest. Read our handy guide for Restaurant Week beginners if you've never done it before, and get ready to treat yo' self with great food and drink for the next 10 days. WORDS | The EWU Visiting Writers Series welcomes author Emily Rapp to Auntie's Friday for a reading and Q&A session. THEATER | Stage Left Theater's resident playwright Sandra Hosking has her first full production opening tonight with Creeps. Be sure to read our story about her and the play. THEATER | The Modern Theater Coeur d'Alene is opening a play as well. The Nerd is a two-act Larry Shue comedy that was massively popular in London in the mid-'80s. Will the appeal remain in North Idaho? Stay tuned.